Heartbreak. Something that all of us will have to deal with a least one time in our lives. 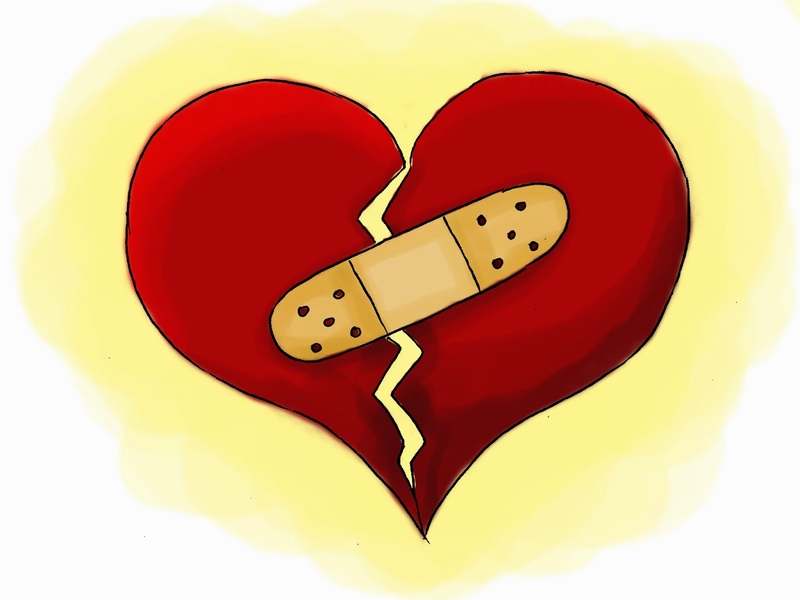 Heartbreak comes in many forms, loss of a loved one, the end of a relationship or friendship and so on. That feeling of one moment being on top of the world, then something happens and you are plunging back to the hard ground with no one there to catch you. If we are being honest there is no way to prevent heartbreak as it mostly comes at us from out of the blue, even if we are prepared it doesn’t lessen the pain. At times we may feel that there is no one who understands or cares, there will be many people who try and tell you to chin up or so on. I can’t count the amount of times I was told to “get over” my own personal heartbreak, that it was “just a break up” blah, blah, blah. We may feel like no one cares, that we are alone and that nothing will ever be good again but that is just not true. First of all even if all you did have was yourself that is still incredible, people forget how capable and strong they are when they have been heart broken. The truth is that you are amazing and if you believe in yourself you will manage to overcome this pain. Cliché? Maybe. True? Definitely. Remember that it is ok to be heartbroken, yes it hurts like hell and you just want it to stop. But heartbreak is a sign that you cared and being a person who cares is never a bad thing. Eventually things will get better, think of it as walking through a dark tunnel. It may feel like the longest tunnel in the world it at the end of every tunnel there is light. You just have to keep going. At some point the pain will lessen and you will be able to smile again. Always remember the good, if you have lost a loved one try to think of all the amazing times you had to together. Even if a relationship or friendship has ended, remember the happy memories, dwelling on the sadness only makes it last longer. Finally, you may feel alone but you aren’t. There will always be people who you can talk to, who understand how you’re feeling and have been, or are going through something similar. There will always be people who love you, no matter how low or broken you are feeling. These are the people who will help you heal and who you will create more happy memories with. Just because there was no one to catch you, doesn’t mean that there aren’t people there to pick you up. I hope you enjoyed this post, let me know what you thought.